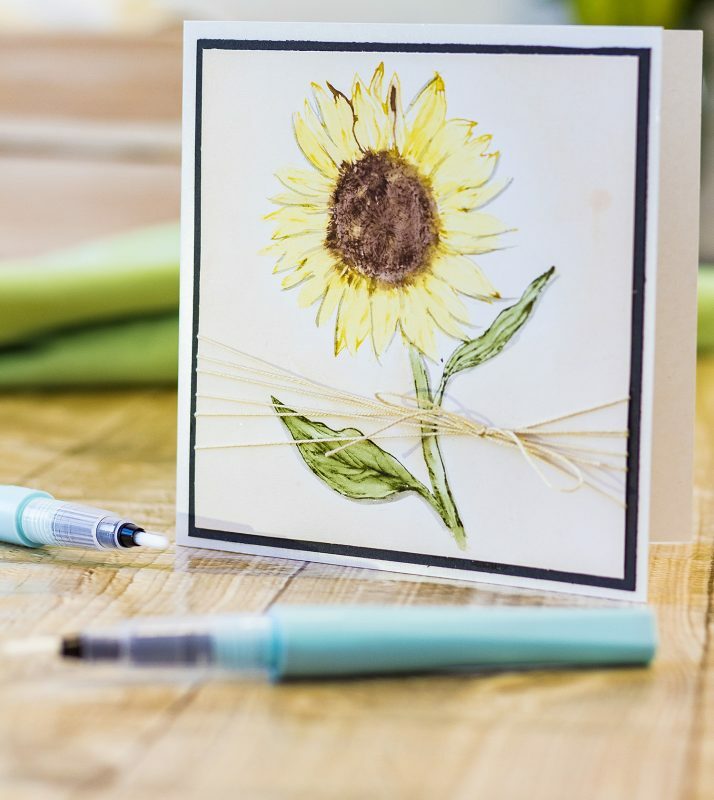 Do you know of someone who would love to receive a beautiful summer-inspired sunflower card? In this video, Dawn Macfie tells us how to recreate her simple, yet elegant card, and with no sentiment on the front and left blank inside for your own message, this is perfect for telling someone that you care. Colour the stamp using your AquaTint Pens. Once coloured, using your own breath, “huff” over the stamp to reactivate where any ink may have dried! Stamp image onto your Sheena stamping card. Using a very damp paintbrush, drag the colour from the stamped image to colour in your stamp. If you require extra colour put some AquaTint on your glass mat and pick up the colour with a damp paintbrush. Dry with a heat gun as you go so you are in control of your finished image. To finish off, use a mix of glycerine and AquaTints and blend around the edge of your stamped image – being careful not to touch your stamped image. 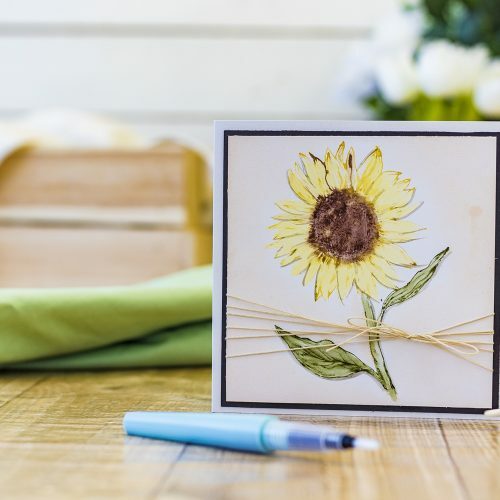 Now mat and layer your card, add the twine and attach to your card base. Do you have a floral-inspired creation to show us?